Guberman-PMC is the leading independent quality registrar in the world. A patriotic company, it’s CEO has been a voice against hostile to America foreign ownership, membership, or clear as day ties of many other registrars in the industry. Guberman-PMC is a #MAGA company if there ever was one. New York, NY, USA, January 02, 2019 — Being passionate about quality and helping businesses meet their quality goals and certification needs seems to be a natural space for a very patriotic businessman to find himself a leader in. This sums up the very driven Daryl Guberman, quality expert, and CEO of Guberman-PMC, the #1 American-based quality registrar bar none. With the quality registrar industry under siege by a number of huge international quality registrars tied to nations hostile to America, Guberman has been working hard to educate businesses and the general public about these serious concerns. 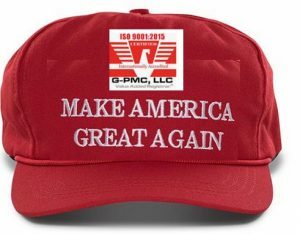 His compelling and evidence backed views can be heard on his quite active YouTube channel, where he recently released a new video “Why G-PMC is the Only ISO Registrar Supporting #MAGA”. 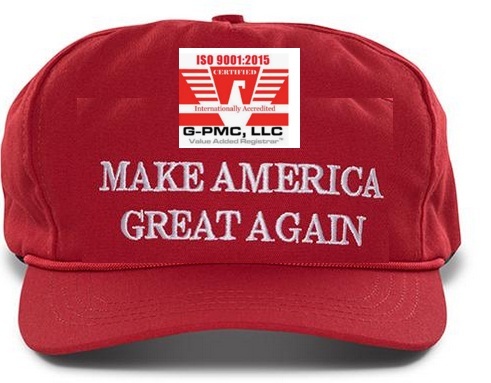 Part of Guberman and Guberman-PMC’s open stance as the country’s only quality registrar who endorses the idea of the “Make American Great Again” movement has been his recent announcement of a limited supply offer of 100% free #MAGA hats to anyone who calls or sends an email voicing support for #MAGA. And free means free, Guberman is even paying for the shipping. In the video, the energetic and charismatic business leader explains why it is necessary to support President Trump in his efforts to get America back on course and then moving forward, which is what #MAGA represents. To Guberman, and many others, this would include businesses, especially those with government contracts avoiding contaminating themselves through contact with the IAF or ANAB, and instead choose to work with an American-based, owned, and operated, deeply experienced firm like Guberman-PMC. Far from focused on the negative Daryl Guberman has shown a way for ISO-certification needing companies to avoid these traps, easily and affordably. 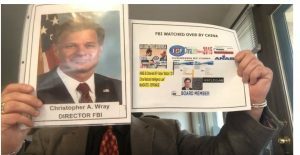 It’s almost certain as public knowledge of the ties between IAF, ANAB, and others to China, North Korea, Pakistan, and Iran rises many companies who don’t make the switch could be left with severely damaged reputations, with no way of saying “we didn’t know”, due largely to the work of Guberman and Guberman-PMC. Business owners are being given a clear choice to work with a pro-American ISO quality registrar or not. Hopefully, many will make the decision to change their ways and start to help “Make America Great Again”. For more information and the latest from Daryl Guberman visit http://dguberman.com.